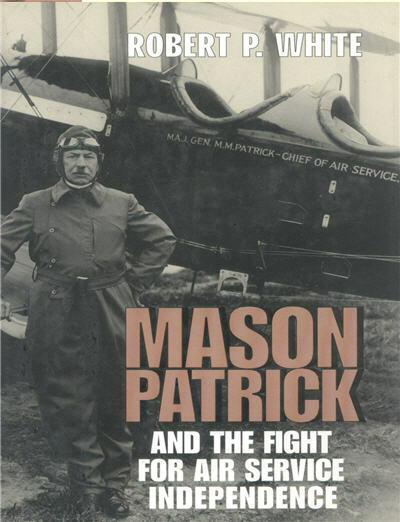 Gen. John Pershing selected Mason Patrick in 1918 to command the Air Service of the American Expeditionary Force. Patrick, one of Pershing's former West Point classmates and an engineer, by virtue of his intellect, political acumen, and organizational skills, transformed the Air Service and set it on the path to independence from the U.S. Army. One of the first aviation officers to recognize the full potential of airpower during war and peacetime, Patrick was remarkably successful in gaining support for the three legs of his aviation triangle: military aviation, commercial aviation, and the aviation-manufacturing base. Patrick's tenure as chief of the Air Service and, later, the Air Corps made possible the emergence of an independent Air Force. 192 pgs, HB, 9.25 x 6.25, photos.